Successfully Added Ordro T2 1080P Car DVR - 5 Inch LCD Screen, 170 Degree Wide Angle Lens, Rearview Mirror, G-Sensor,1/4 Inch CMOS Sensor to your Shopping Cart. The Ordro T2 car DVR will let you record videos in full HD at 30 frames per second and take quality pics of the surroundings thanks to the 1/4 inch CMOS sensor. This can come in really handy during a road trip through beautiful areas – as you won’t even have to stop driving to record all the stunning scenery. Should you be a witness or participant of a road accident, the HD car DVR will record all the details and let you use the footage as evidence for your insurance company. Thanks to the 170 degree wide angle lens, you are also sure to catch all the needed background detail. The dash cam supports a 32GB micro SD and comes with H.264 video encoding that lets you efficiently store large media files without them taking up too much space or sacrificing image quality. Doubling as a rearview mirror, the DVR will significantly facilitate your parking as it has a backup camera giving you a better view of what’s going on in the rear. The 5 inch LCD display is also great for reviewing the footage you’ve taken on the road. This compact and inexpensive accessory is capable of greatly improving your safety on the road. It is also a fun gadget to have for capturing beautiful scenery footage or fun road trip happenings. Simple to use and install, it’s a feature-full accessory for your vehicle. 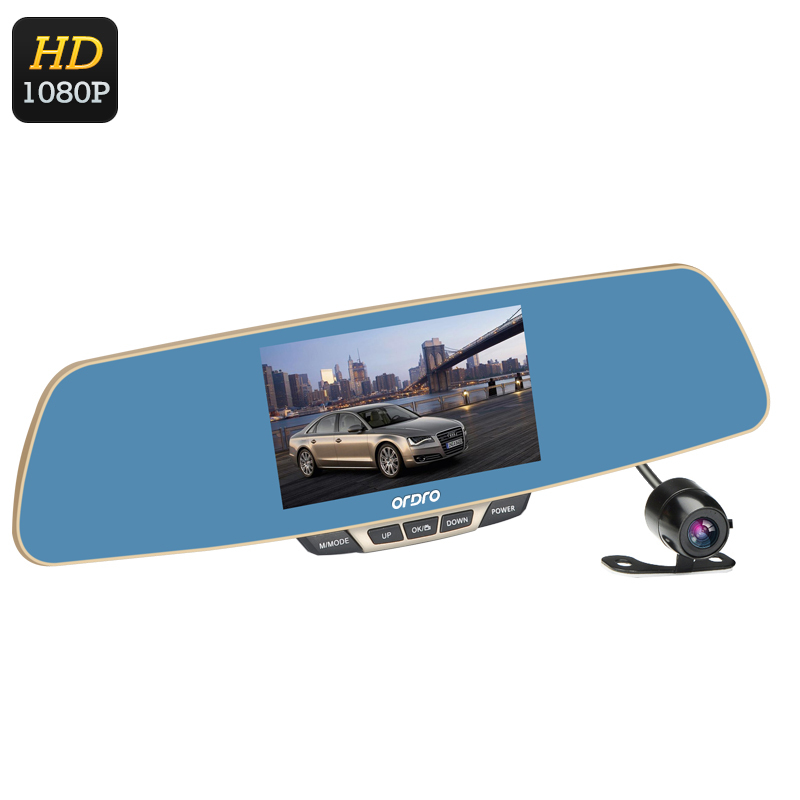 The Ordro T2 1080P Car DVR and backup camera comes with a 12 months warranty. Brought to you by the leader in electronic devices as well as wholesale car DVRs..